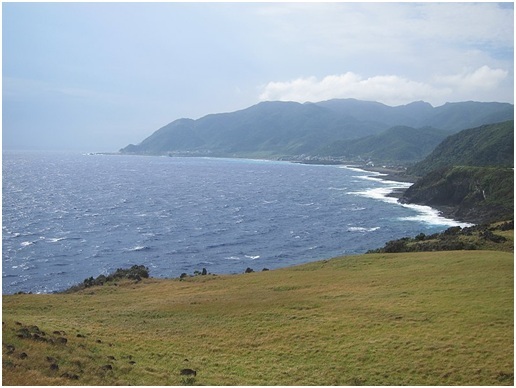 The definition of a coastal landscape and its primary function. The different factors in coastal landscape development and what gives each type their distinct look. 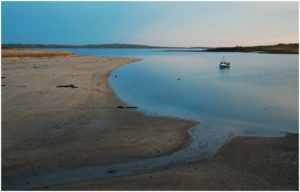 The varied interactions of coastal landscapes and the underlying reasons why certain coastal landscapes are present in a particular area. The types and features of each coastal landscape. 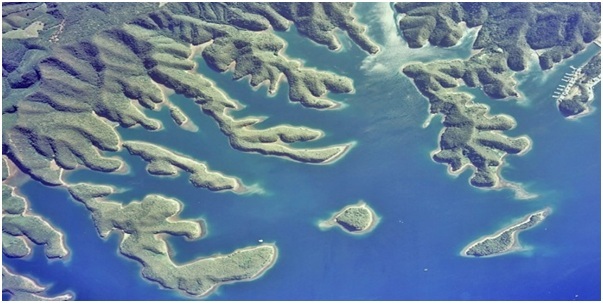 The coast is a slender portion of ground separating land from a body of water. It is being continuously shaped by exterior factors. In terms of size, a coast can be low-lying or tower high above the water. It may be composed of fine-grained sand which makes it clean looking, or it can be composed of large rocks that give it a rugged look. 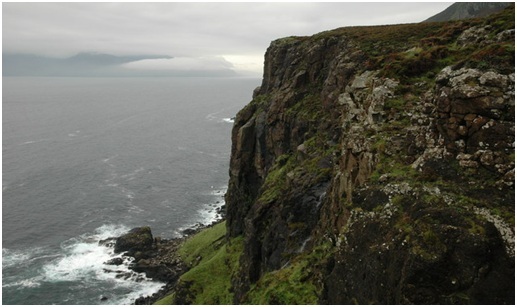 Elevated coast with cliffs – distinguished by an upright rocky hill that is perpendicular to the sea. These coasts pose risks to humans and animals as they can crack and fall apart. Rias coasts – results from the sea occupying old river valleys, leading to the formation of peninsulas. 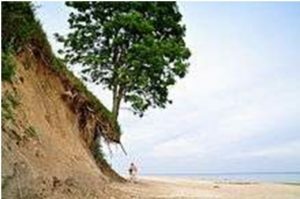 Low coasts – even or nearly even with the water, these coasts form when the sea has destructive force, though isn’t actually strong enough to cause serious damage. As a result, various particles are spread across the coast by sea currents and gathered in shallow waters. Type of rocks – large rocks can provide uneven landscapes and fined-grained or small rocks can give a flat looking landscape to a coast. Natural occurring processes – tides, the amount of precipitation, and soil erosion are examples of these processes. Human activities – over time, efforts toward modernisation modify the coasts and their landscapes. Like fingerprints, these unique factors can help you identify specific coasts. The environment and the rock structures or objects that comprise the coastline. The climate – this is a key factor in knowing the scope and intensity of different processes, such as weathering. Aquatic life – the natural processes of living organisms can lead to erosion or deposition. 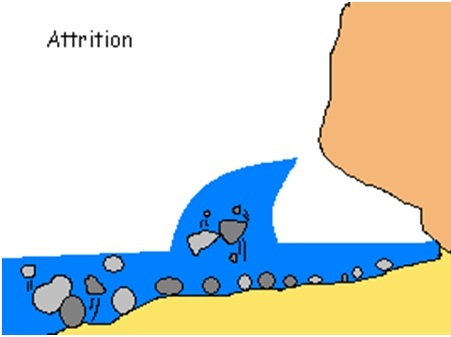 Motion and sediment in the coastal zone – An active coastal environment will manifest signs of erosions, whereas a stagnant coastal environment may manifest stable signs of deposition which, if occurring for a long period of time, can bring about a state of equilibrium. 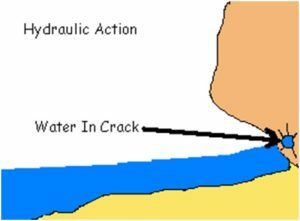 These are alterations on the surfaces of the water in a sea or ocean which are caused by strong low-pressure area systems and hurricanes. These storm surges are one of the main reasons why coastal landscapes change significantly in shape over time. When a storm surge is especially strong, it can lead to an immediate change in the coastal landscape. 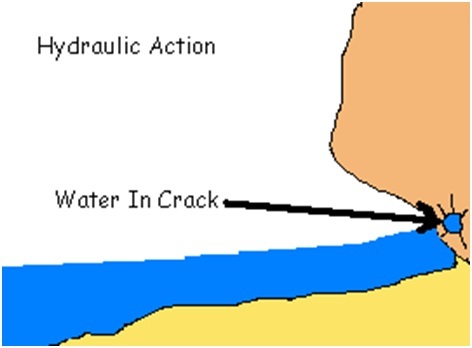 Hydraulic Action – as waves crash against the cliff, any source of air that is enclosed in cracks or other openings is put under severe pressure, which causes the area to weaken so that erosion can result. This is common in rocks such as limestone, granite, and sandstone because they are well-bedded. Clay can also erode because it holds water, which through continuous exposure over time makes it softer. There are a lot of factors that play a part in the formation of coastal landscapes. It’s clear that they did not take on their shape and appearance by mere chance. Numerous processes and mitigating environmental factors contribute to coastal landscape development. As one of those factors, humans need to be sure to take better care of our environment. For instance, we should be careful where we dispose of our waste materials and how much we consume. The vast accumulation of trash can contribute to climate change which leads to stronger storms that alter the landscape of our coasts.